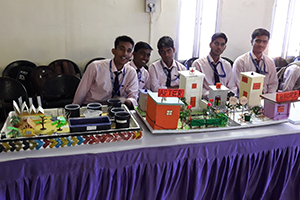 Rajasthan Institute of Engineering and Technology Jaipur organized “The Innovation Fest- Spark-18” on Tuesday, 23.10.18. The event was inaugurated by chairman RIET Ku Bheem Singh ji. He said that “I want to congratulate every team and every single student that entered in the competition because the performance is exceptionally good. We are extremely impressed by the quality of the high level of presentation and the deep understanding each student demonstrated about his or her subject area”. 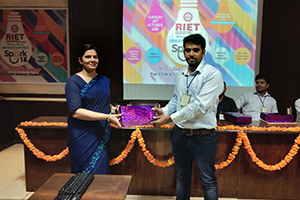 During the inaugural ceremony of the event, Principal RIET Dr Saroj Hiranwal, said that this championship would provide the platform for the exchange of ideas, invention, learning etc among students. 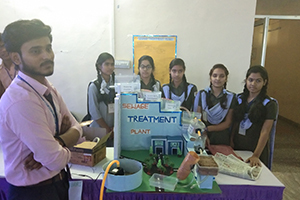 Dr. Sachin Sharma, Vice Principal, RIET, said that This Championship was planned to show case the talents of our young visionaries / scientists from various schools in entire Rajasthan. 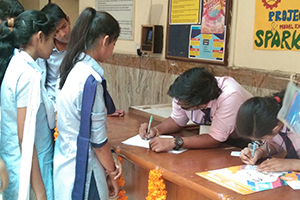 This function was organized by the B Tech 1st year students, with a motto of promoting Technology and innovation amongst the school children especially from 11th & 12th standard. Dean Academics & Admin, Prof Kapil Dev Sharma, in his vote of thanks, encouraged all the students and said that “Everyone is a scientist, and science is for everybody and engineering is a part and parcel of the ever developing science,” he congratulated the winners on the occasion. More than 20 schools,(Tagore public school Jaipur, New sunrise school, Government senior secondary school, Rajasthali vikas ashram school, J P School, Central academy, Genius sr sec school, Tagore vidya niketan school, AVM school, Prince public school) participated in the event. More than 300 candidates enrolled in as contestants in various categories. 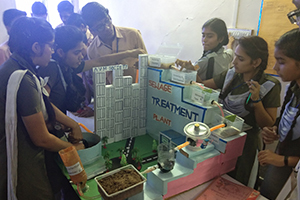 The most innovative projects were displayed in the Project/ Science Model Category. Posters were again beautifully projected with attractive drawings and illustrations. 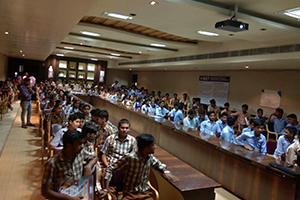 The debate competition drew in a very large crowd unexceptionally. The event ended with a happy note with the contestants extremely joyous with their prizes. All the contestants were awarded with a certificate of participation also.